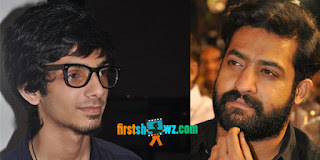 Young Tiger NTR’s next movie after Janatha Garage has been confirmed after the actor’s brother Kalyan Ram announcement. To be produced by actor-producer KalyanRam, NTR’s 27th film will be directed by Bobby of Power and Sardar Gabbar Singh fame. The latest news is that young music sensation Anirudh Ravichander is zeroed in to compose the musical scores for the movie. However, an official confirmation is awaited from the makers.